Pariplay has released Dragons of the North where fantasy and excitement await – if you’re into Game of Thrones, you’ll like this. Dragons of the North is a 5 reel slot with 50 paylines – it can be played from just 50p a spin across desktop, mobile and tablet devices. With a fantasy feel, you will see 4 dragons on the reels – there are also stacked wilds that can nudge up down to give you better payouts. There are meters above each reel which change with every spin – you will see jackpots, free spins and cash prizes. When a dragon egg appears on the reels, the Dragon Egg feature kicks in – this can add a multiplier of up to 10x to the cash prizes displayed in the meters above the reels. With dragon eggs acting as wilds, you will win the prize in the meter on the same reel. If you trigger the Free Spins feature, you will begin with 10 free spins – with prizes above reels 2 and 4 unlocked, you can win more free spins. What you want is the Jackpot Wheel feature where you spin the Bonus Wheel to win 1 of 4 jackpots – the Grand Jackpot is worth a cool 1,000 times your total stake. You can also win 1,000 times your stake when you fill the reels with wilds – for more details, visit the Dragons of the North slot review. 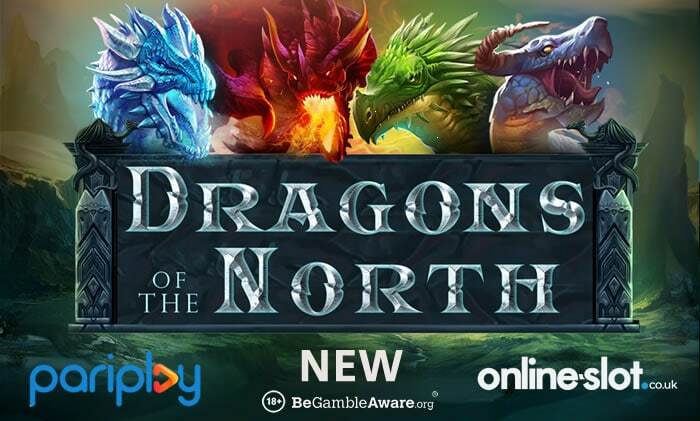 You can play Dragons of the North at NetBet Casino – they also have other new slots like Play ‘N Go’s Phoenix Reborn, iSoftBet’s Lucky Stripes, Quickspin’s Durian Dynamite and Pragmatic Play’s Wild Pixies. Sign up using the code EXCLUSIVE1 and you’ll get a 100% bonus up to £200 plus 25 exclusive free spins on any NetEnt slot. On your 2nd deposit, use code EXCLUSIVE2 to get 75 more exclusive free spins. Finally, you will get 100 exclusive free spins on your 3rd deposit by using the code EXCLUSIVE3. That’s 200 exclusive free spins to use on any NetEnt slot you fancy.